A stunning dress from Calla Collection will surely impress and catch attention. Floor-length dress in shiny off-white hue comes with stylish embroidered bodice and sweetheart illusion neckline. Overlaid sumptuous skirt. Corset open back style for some extra flair and sophistication. 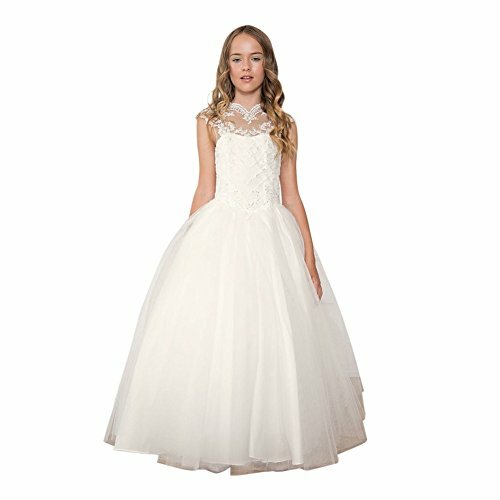 Suitable for flower girls and festive events.